This is the project setup we need in our application. Once we have these libraries in our application we can call the following methods from our component class. The load function takes an Excel file ( xlsx ) and populates the specified FlexGrid instance with the parsed data. 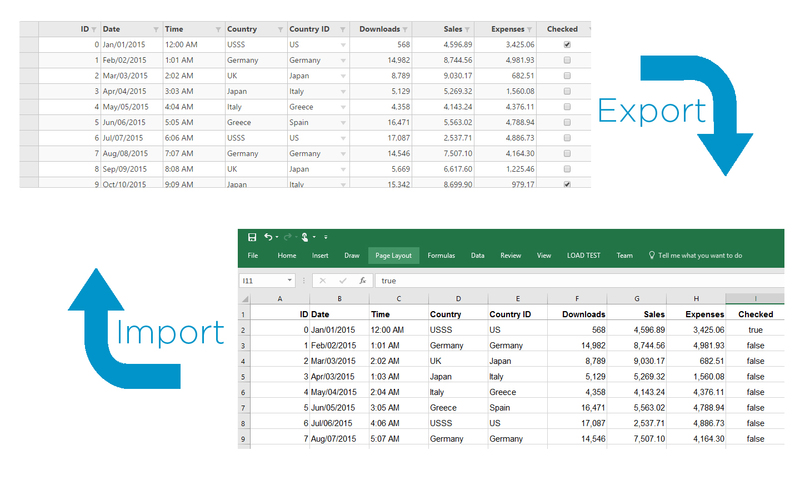 The save function takes a FlexGrid instance as input, converts its data and formatting to Excel and returns an object containing content for the Excel file. Let’s define our FlexGrid in our component template and assign it a local variable of flex and bind it to some data. The implementation of the load and save is up to you, but for this blog I chose to use two buttons for importing and exporting. We can add these to our component template as well. In our component class we can access our FlexGrid instance so we can pass it to our load or save function. If you are interesting in customizing the exporting or importing behavior you can check out the API here.